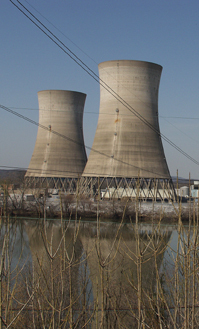 Should the U.S. build more nuclear power plants? President Bush has recommended building more nuclear energy plants in response to high oil and natural gas costs and continuing concern about global warming. Advocates say nuclear power is the only large-scale energy source that does not contribute to global climate change. The Energy Department is working with industry to find sites for new, safer reactors, and Congress has approved subsidies for companies that build the first plants. Opponents fear that accidents or terrorist strikes on reactors could contaminate large areas, and that nuclear fuel could be stolen and used for weapons. They also argue the United States does not have an acceptable, long-term policy for managing nuclear waste and that renewable energy is safer, cleaner and more affordable. Meanwhile, critics say a nuclear pact recently proposed by Bush between India and the United States undercuts nuclear non-proliferation efforts.